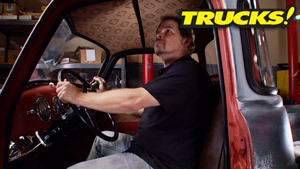 We retrofit cooling and driver controls to Project Super Dually. 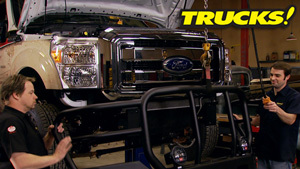 Today its upgrades to the Search & Restore F-350 as they prepare to travel across the nation to pickup their next project! Search & Restore Rig Upgrades! 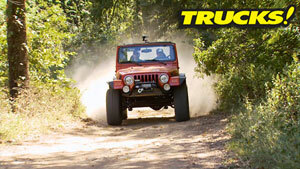 Driveway upgrades to Jeep's Wrangler with a lift kit and bigger wheels & tires. 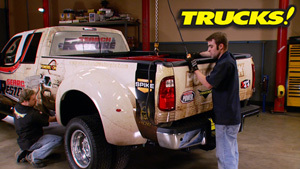 We're installing an air-over-leaf suspension kit to a work truck. Today, it's axle upgrades for our Wrangler Unlimited. Our Wrangler LJ gets new trail protection. Project: SuperDually gets new a new steering shaft, headlights and under hood paint. Trucks! adds nitrous to a lowered 2006 GMC Sierra and shows how to make a few custom paint mods on the cheap. Then it goes to the drag strip for a real world test! Trucks! gives this 1971 Chevy C-10 some much needed upgrades. Starting off with door replacement how-to, a new beefed up drivetrain, and rebuilding the worn out suspension! Trucks! 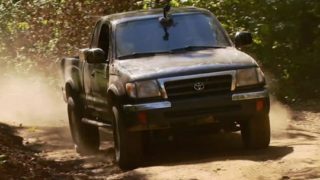 is adding more power to their 1999 Toyota Tacoma by adding a Turbo kit then adding some off road protection in the form of rock rails. Time to wedge a Ford dual overhead cam 4.6L V-8 into a 2001 'Ranger' based truck to build a smaller version of a Ford Lighting. 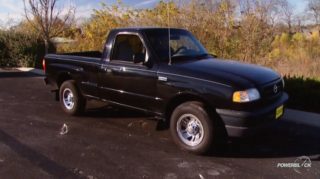 we're kicking off a brand new project to wedge a Ford dual overhead cam 4.6 liter V-8 into a 2001 'Ranger' based truck to build a smaller version of Ford's Lighting. Since "Mini Lightening" doesn't sound that tough, we're calling this Project - Rolling Thunder! Our third new project of the season will result in a diesel tow rig by combining both old and new, Ford and Dodge. A modern Dodge Cummins Turbo Diesel Powered chassis and a classic 1970's Ford 4 door Crew Cab body for a "modern" tow rig and a vintage look. 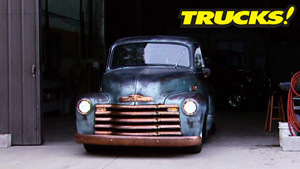 This 1949 Chevy 3100 will end up with a great new look and Chevy's vintage straight six. 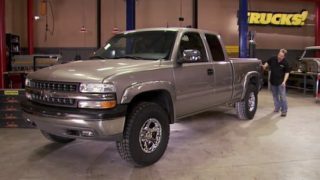 A damaged 2001 Chevy Silverado is rescued into a sharp everyday street truck. Time to get this 1998 Grand Cherokee out of its mundane "grocery getter" life and make a Jeep built for the great outdoors. 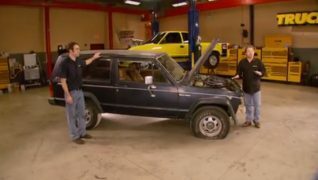 We're taking a wrecked 1988 Jeep Cherokee and fixing it for as little money as possible. 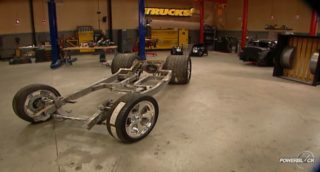 We'll show you how to inspect the damage and how to pull the frame back into shape the right way. Then, we'll give it a face lift with some updated sheet metal. 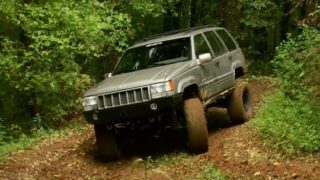 In fact, we're spending so little on this project we're calling it our "Cheep Cherokee". It's the oldest matchup in the book, Ford vs. Chevy. Trucks! rebuilds a 1990 Chevy 454 SS and a 1994 Ford Lightning for battle. 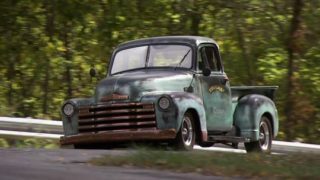 Project Hot Rod Truck gets it's drivetrain in the form of a hot small block Ford V8, a 6 speed manual transmission, a one piece driveshaft and a bullet proof rear end. 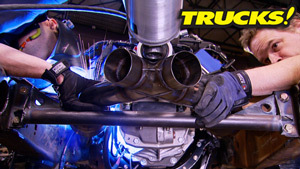 It's a driveline guaranteed to smoke Project HRT's massive 22 inch wide rear tires! Trucks! 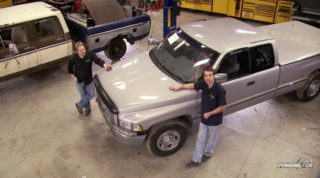 takes a 1966 Chevy C-10 and converts the long bed classic into a more desirable short bed in this popular rebuild. 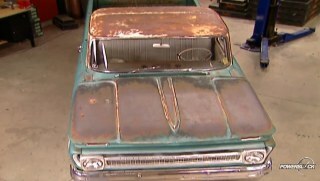 You won't believe it but, we're taking a 1966 Chevy C-10 and cutting it in half! We're not crazy; we're starting a project to convert this long bed classic into a more desirable short bed. Trucks! finds a rusty 1979 Bronco for a low buick buildup to tackle tough trails. 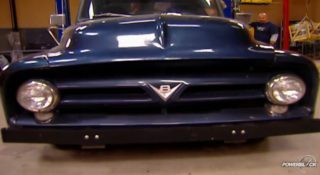 We're tearing apart one of our favorite projects as Project S-10K, our budget muscle truck, gets chopped up so we can start transforming it into a full on, four-linked, supercharged, 600 plus horsepower Pro Street truck with a brand new name, Haulin' S-10! 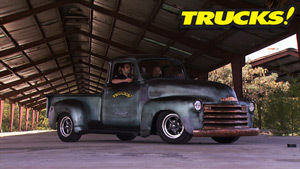 A classic 1953 Ford F-100 is turned into one mean daily driver. it's the start of project Old School. 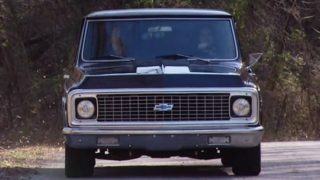 We're taking Ford's classic F-100 and turning it into one mean daily driver. Plus one of the most famous Ford's ever, BIGFOOT! 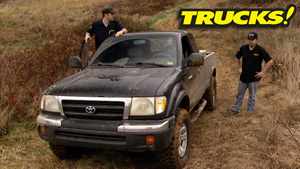 Catch all the action on this episode of Trucks!